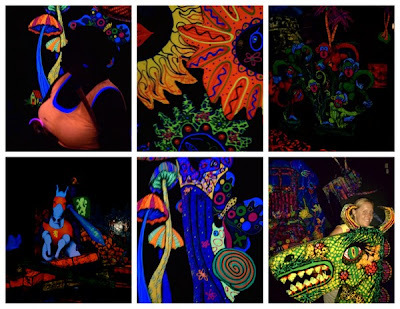 and then this afternoon we wrapped up the holiday weekend with glow in the dark mini golf! Armed with our Groupons we ventured to Putting Edge at Colorado Mills Mall. Can I say that it's been a long time since I've been in a mall? I'm more of an outdoor shopping center kind of girl...when I shop at all. 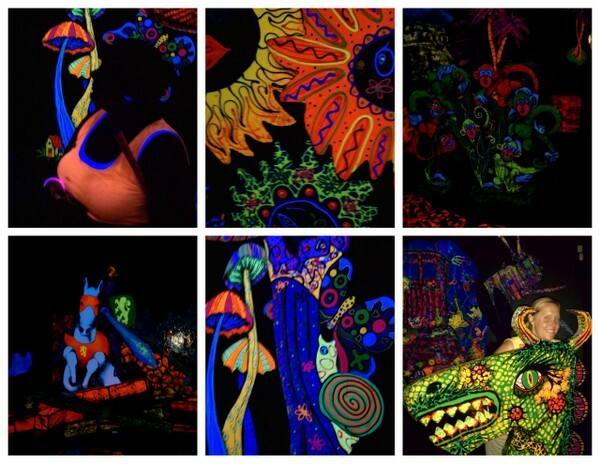 Key advice - wear something white or neon so that you have a satisfactory glow while golfing. This was a fashion fail for me, but my friends glowed like they meant it. It was a lot of fun! And if your score matches the answer of the trivia question of the day, you get to spin the prize wheel. Laurie (friend and fellow blogger) was victorious...her score matched the length in inches of an unwound coat hanger and she lucked out with a free game of golf for a future visit. I was a dismal glow golfer today, but did have the high score among the four of us in skee-ball (33,000!). 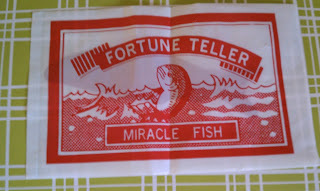 I am also now the proud owner of my own fortune teller miracle fish. This fish can tell whether you are jealous, indifferent, in love, fickle, false, dead or passionate. 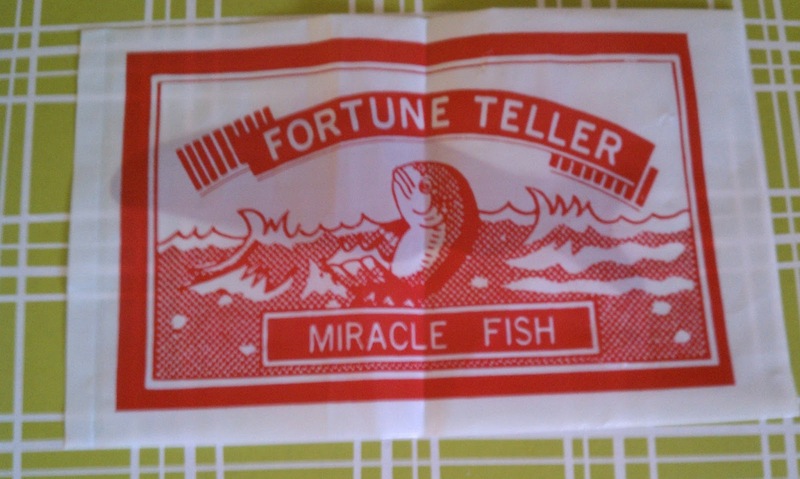 If I see you in person sometime soon, prepare to to feel the miracle fish! Any unique and crazy fun for you over the holiday weekend?